FLAGSTAFF, Ariz. (AP) — The first European American who reached the Colorado River in the Grand Canyon marveled at what was before him: an astounding system of canyons, profound fissures and slender spires that seemingly tottered from their bases. The scenery wasn’t enough to convince Lt. Joseph Christmas Ives that anyone would visit after his group that set out in a steamboat wrapped up an expedition in 1858. That clearly wasn’t the way things worked out, and the Grand Canyon in 2019 will celebrate its 100th anniversary as a national park. 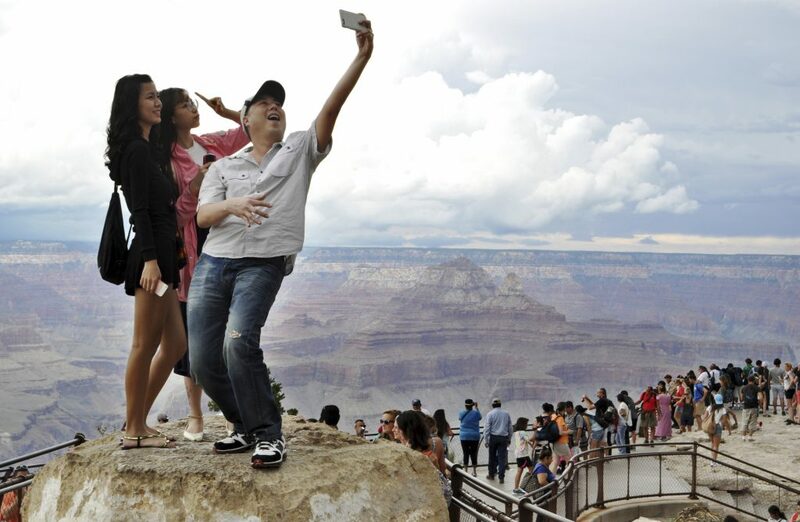 Despite a federal government shutdown that has closed some other U.S. national parks, the Grand Canyon has remained open because Arizona decided to supply money needed to keep trails, shuttles and restrooms open. It now draws more than 6 million tourists a year who peer over the popular South Rim into the gorge a mile deep, navigate river rapids, hike the trails and camp under the stars. Early explorers came on boat, foot and horseback often with the help of Native American guides. The wealthy traveled by stagecoach in a two-day trip from Flagstaff to the southernmost point on the canyon’s South Rim in the 1880s. The first passenger train rolled in from Williams in 1901, but the railroad was more interested in mining copper than carrying tourists. The automobile became the more popular way to reach the Grand Canyon in the 1930s. 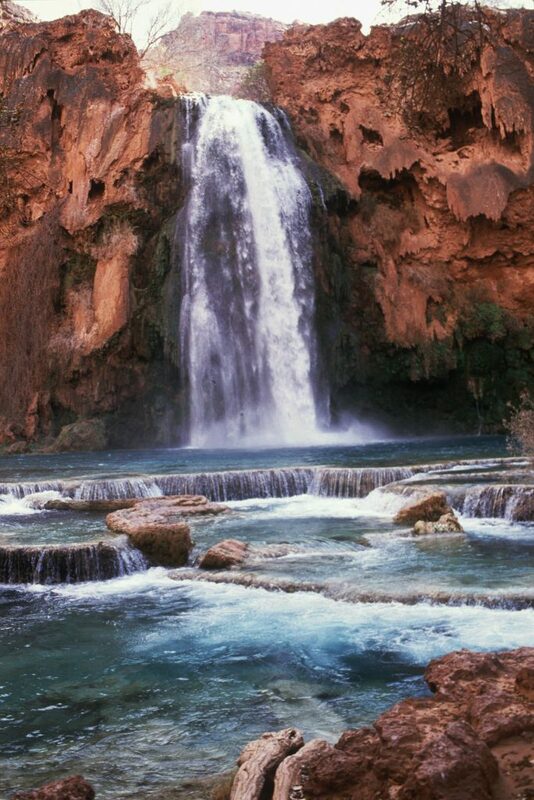 Early entrepreneurs charged $1 to hike down the Bright Angel Trail used by the Havasupai people whose current-day reservation lies in the depths of the Grand Canyon, developed camping spots and built hotels. Tourists paid for drinking water, to use outhouses and for curios in a tent pitched at the South Rim. Ralph Cameron, a prospector for whom the Navajo Nation community of Cameron is named, was one of the major opponents of naming the Grand Canyon a national park because he saw how much money could be made from tourism. President Woodrow Wilson signed legislation to create the park in 1919 but Teddy Roosevelt is credited for its early preservation as a game reserve and a national monument. Centennial events will include Roosevelt impersonators, a historical symposium, a living history week and efforts to get visitors beyond the South Rim by showcasing lesser-known sites on social media. The park’s actual birthday is Feb. 26, when a celebration is scheduled at the South Rim, with other events at other locations programmed for later in the year. Vanessa Ceja Cervantes, one of the centennial coordinators, said the park will broadcast ranger talks, the founder’s day event and other virtual tours throughout the year. Visitors might even learn about the Apollo 11 astronauts who trained at the Grand Canyon, a spotted skunk there who does a handstand when it feels threatened, a commercial airline crash that spurred the creation of the Federal Aviation Administration or the story of a heart-shaped rock embedded in wall for a hotel waitress. Before Grand Canyon became a national park, the land was home to and visited frequently by Native American tribes. As the story goes, Spanish explorers reached the canyon in the 1540s, led by Hopi guides. They descended into the canyon but misjudged its depth and vastness, turning back before they could reach the Colorado River. Their reports likely deterred others from exploring the region for centuries. Gertrude Smith, who works in the cultural office for the Yavapai-Apache Nation in Camp Verde, said tribes continue to revere the Grand Canyon as a place of emergence and where they forage for plants and nuts, and hunted before it became outlawed. “People do forget the Native people were the first people to dwell in these places and use the resources,” she said. Wayne Ranney, the immediate past president of the Grand Canyon Historical Society, moved to Phantom Ranch to work as a backcountry ranger in 1975, a job that would create a bond with his paternal grandfather who first visited Grand Canyon National Park in 1919. He worked for the railroad and could get a roundtrip ticket for $5, Ranney said. In the years after World War II ended, the National Park Service began to modernize places like the Grand Canyon. The gorge hit 1 million visitors annually in 1956, a number that has only grown since. Yep, Grand Canyon get almost as overcrowded as Zion now from spring to winter, except Zion is a Hell of a lot smaller in size ( Zion 229 miles vs Grand Canyon 1,902 miles )…best to visit during the dead of winter unless you love people pushing you around near the edge!